Concrete Floor Coating - What's the best protection for your concrete floor? A concrete floor coating can be many different types of materials. There's epoxies, stains, sealers, polyaspartics, and overlays just to name a few. Below, I'll briefly go over some of the more popular floor coatings and have a link to more in depth information if you want to learn more about each one. 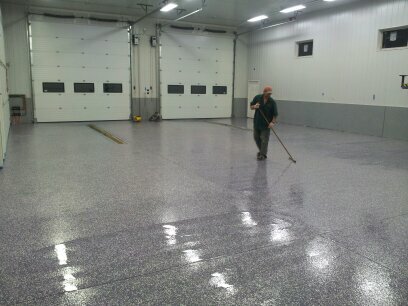 In this picture we're installing an epoxy floor coating with decorative polymer chips to a commercial garage floor. 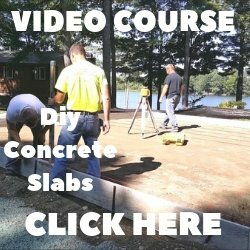 I think you'll agree, plain concrete can be pretty dull to look at after a while. Applying a floor coating can really enhance the appearance of your garage, basement or house floor and be relatively inexpensive compared to other traditional types of flooring. Some of the coatings, epoxies & overlays, will even repair and hide pop-outs, chips, scratches and stains. The great thing about these coatings is they can be very decorative or just simple in color if that's what you want. There's so many colors and patterns to choose from I'm sure you'll find what fits your needs. CONCRETE SEALER: A simple, basic floor coating that can go on clear or be tinted many different colors. This requires the least amount of surface preparation. It will help protect the concrete from stains, chemical spills, and foot & vehicle traffic. Will enhance the color of colored concrete or acid stained floors. CONCRETE STAIN: Acid stains are used to add color to concrete floors. When combined with a good sealer they offer a relatively inexpensive way to transform dull gray concrete into something beautiful. Water based stains offer many color choices and the cleanup is easier than acid stains, again topcoat with a clear sealer for a fantastic floor coating. PAINTING CONCRETE FLOORS: Also referred to as epoxy floor paint, is great for garage floors and basement floors. The good ones are long lasting, chemical resistant and offer many color options. The surface preparation is very important for adhesion. Application is relatively easy, most roll on, and decorative chips can be added for a nice look. CONCRETE OVERLAY: Designed to add a new refreshing look to the underlying concrete. These can include self leveling underlayments to repair uneven floors. Concrete micro finishes to repair floors and offer a canvas for concrete stains. Polymer modified overlays are used to completely resurface worn concrete and can also be used as a decorative stampable overlay. Sprayable overlays are great for adding texture or a stencil pattern to a concrete surface. Concrete overlay coatings can help reduce the cost and mess of tearing out old concrete and replacing with new. CONCRETE DYE: Similar to stains, come in water based and solvent based colors. Offer many different vibrant color combinations. Can be combined with acid stains for very unique looks. Dyes with a clear epoxy top coat make a great looking, highly decorative concrete floor coating. We install a lot of epoxy garage floor paint. 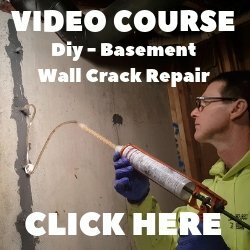 Click on epoxy floor covering if you want to know my opinion of the best epoxy to use on interior concrete and garage floors. Watch my video if you want to learn how to install a decorative epoxy chip floor.